British officials announce they have charged two Russian men with the nerve-agent poisoning of ex-spy Sergei Skripal and his daughter Yulia in the English city of Salisbury — though they hold out little hope of being able to bring them to justice. British officials said Wednesday they have charged two Russian men with the nerve-agent poisoning of ex-spy Sergei Skripal and his daughter Yulia in the English city of Salisbury — though they held out little hope of being able to bring the suspects to justice. The men, who entered the country under the names Alexander Petrov and Ruslan Boshirov, were charged in absentia with conspiracy to murder, attempted murder and use of the nerve agent Novichok, the Crown Prosecution Service said. British Prime Minister Theresa May said the U.K.'s intelligence services have concluded that the men are agents of Russia's military intelligence agency, known as the GRU. May told lawmakers that the attack "was not a rogue operation" and was almost certainly approved at a "senior level of the Russian state." 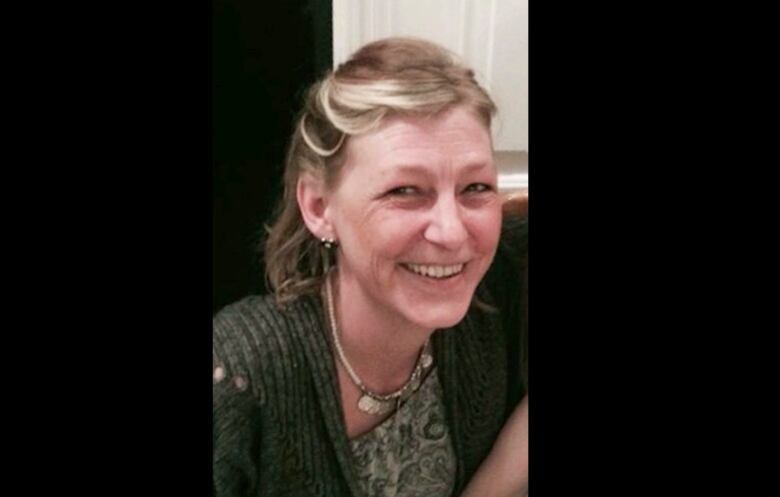 The U.K. is not asking Moscow to extradite the men because Russian law forbids extradition of the country's citizens, prosecutor Sue Hemming said Wednesday. Britain has issued a European arrest warrant for the two, meaning they could be detained if they leave Russia for another European country. But assistant police commissioner Neil Basu conceded it was "very, very unlikely" police would be in a position to arrest them any time soon. 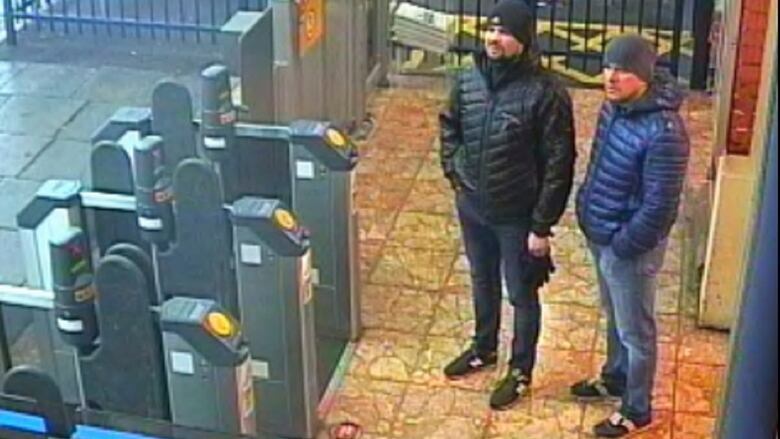 The men, both about 40, flew from Moscow to London on Russian passports two days before the Skripals were poisoned on March 4, police said. Basu said the passports were genuine but the men were probably using aliases, and appealed to the public "to come forward and tell us who they are." 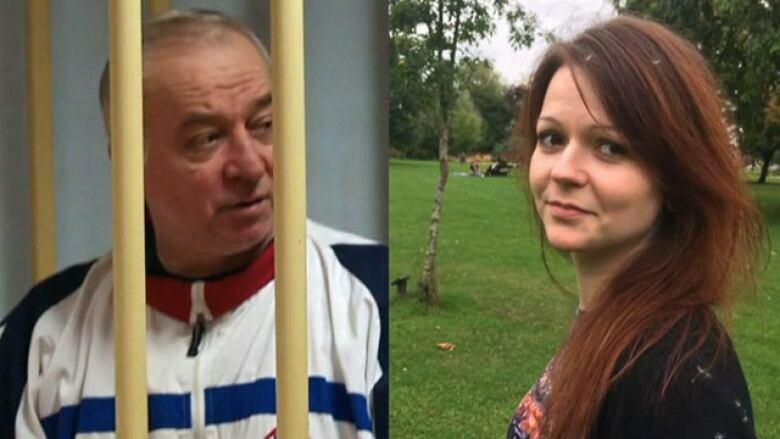 Sergei Skripal — a former Russian agent who had been convicted in his homeland of spying for Britain — and his daughter were found collapsed on a bench in the cathedral city of Salisbury, 140 kilometres southwest of London. They spent weeks hospitalized in critical condition and are now recovering in a secret location for their own protection. British officials have blamed the Russian government for the poisoning, a charge the Kremlin has denied. The poisoning ignited a diplomatic confrontation in which hundreds of envoys were expelled by both Russia and Western nations. Russian Foreign Ministry spokesperson Maria Zakharova said Wednesday that Moscow has no knowledge of the two suspects, saying their names and photos "say nothing to us." Zakharova called on Britain to co-operate with Russian law enforcement agencies on the investigation. She has criticized London for turning down Moscow's request to see the case files. On Wednesday, May accused the Russian government of spreading "obfuscation and lies" in relation to the attack. Police on Wednesday gave new details about what Basu called "one of the most complex investigations" the force had ever seen. Police released a series of images of the men as they travelled through London and Salisbury between March 2 and March 4. Police say the two men took a flight back to Moscow from Heathrow Airport on the evening of March 4, hours after the Skripals were found collapsed on a park bench in Salisbury. U.K. names Novichok nerve agents in ex-spy poisoning: What are they? The U.K. will brief the UN Security Council on Thursday about its investigation into the poisoning.